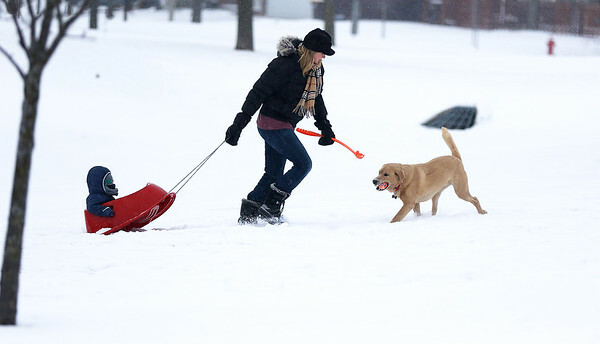 H. Rick Bamman - hbamman@shawmedia.com Crystal Lake residents Susan Fitzgerald pulls son Jake while exercising golden mix Moose at Ken Bird Park on Wednesday, Jan. 3, 2018. Thursday is expected to be partly cloudy, cold and windy. Highs in the single digits above zero. 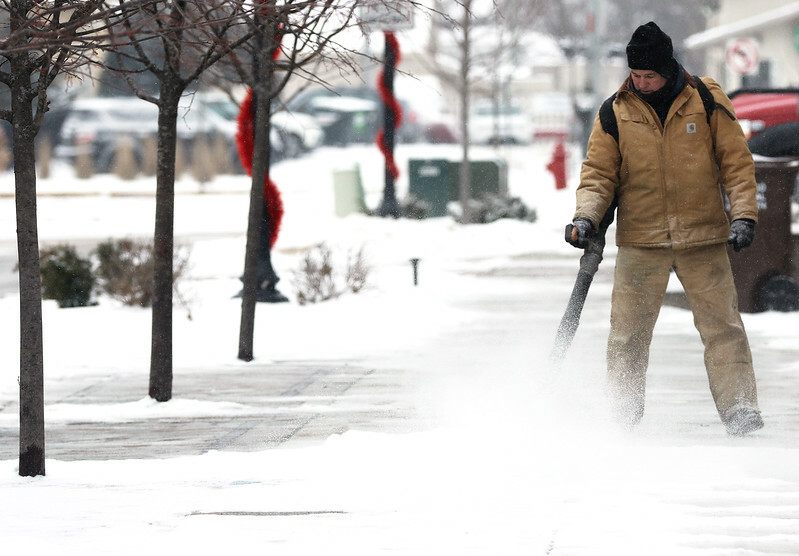 H. Rick Bamman - hbamman@shawmedia.com Using a back pack blower Huntley Public Works employee Henry Aul clears a sidewalk along Coral St. in downtown Huntley on Wednesday, Jan. 3, 2018.Thursday is expected to be partly cloudy, cold and windy. Highs in the single digits above zero. 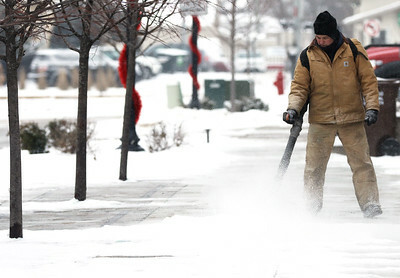 Using a back pack blower Huntley Public Works employee Henry Aul clears a sidewalk along Coral St. in downtown Huntley on Wednesday, Jan. 3, 2018.Thursday is expected to be partly cloudy, cold and windy. Highs in the single digits above zero.